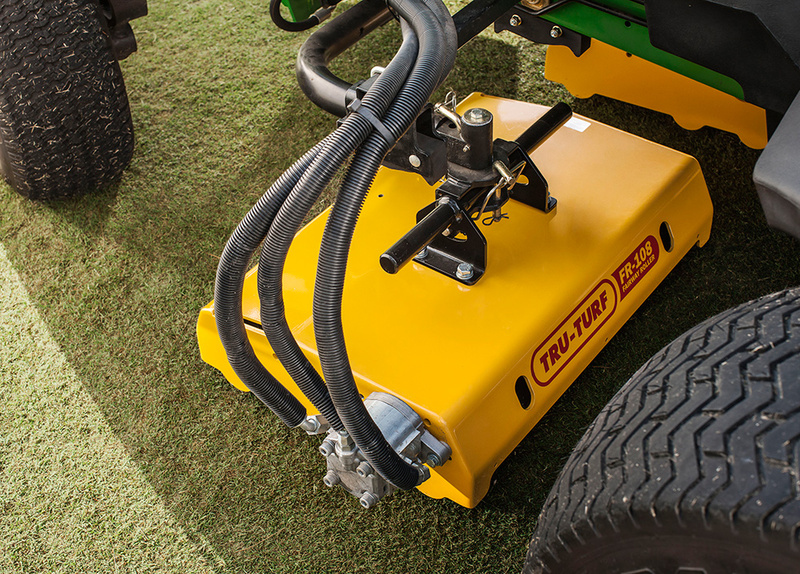 Besides keeping surfaces in top condition, you can also alleviate dew and excess water while rolling at full transport speed. 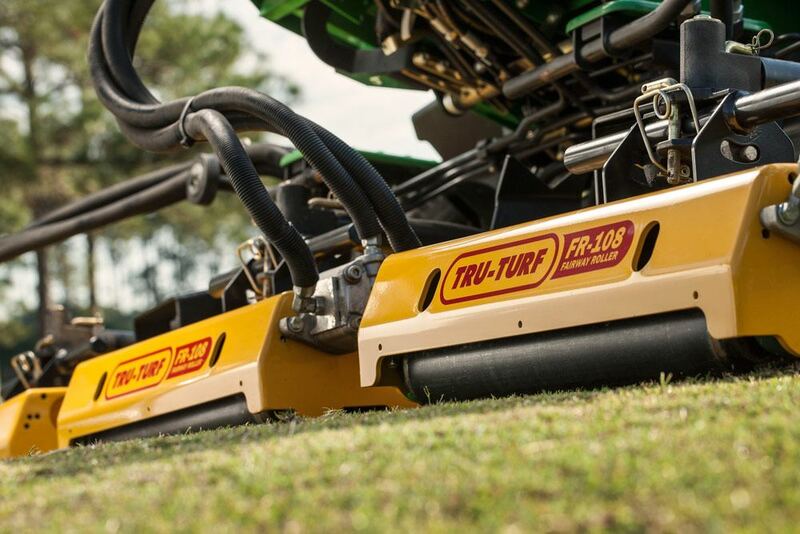 The advantages of Tru-Turf’s fairway rolling heads are abundantly clear. These hugely effective triple offset rollers are easily attached to your existing fairway mower, to greatly extend its capability. 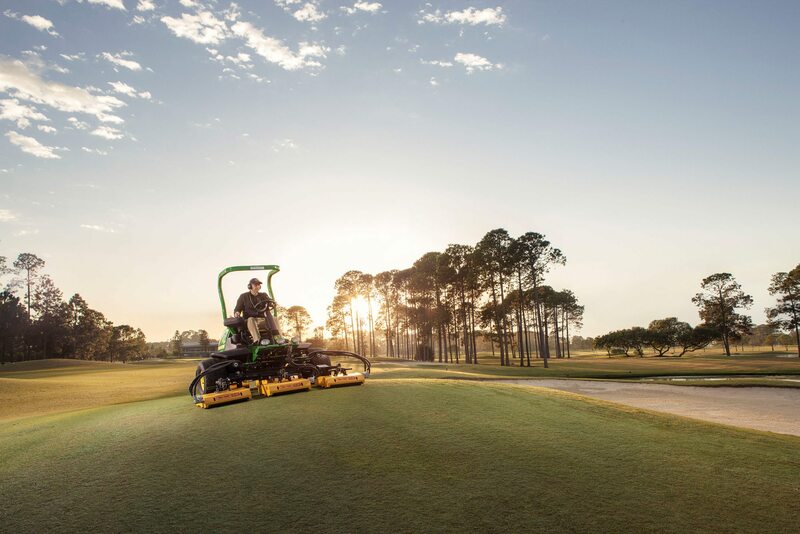 They quickly true imperfections in fairways with even pressure, while maintaining the fairway’s unique contours. The uneven pooling of dew or water is reduced, as are weeds and incidence of diseases such as dollar spot. 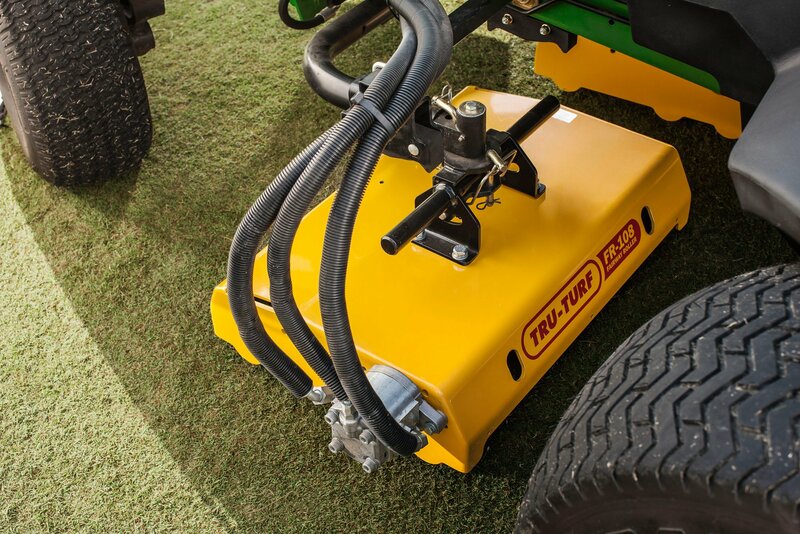 They reduce the time and effort needed in mowing, and the superior surface these rollers produce reduces mower maintenance and operational costs. 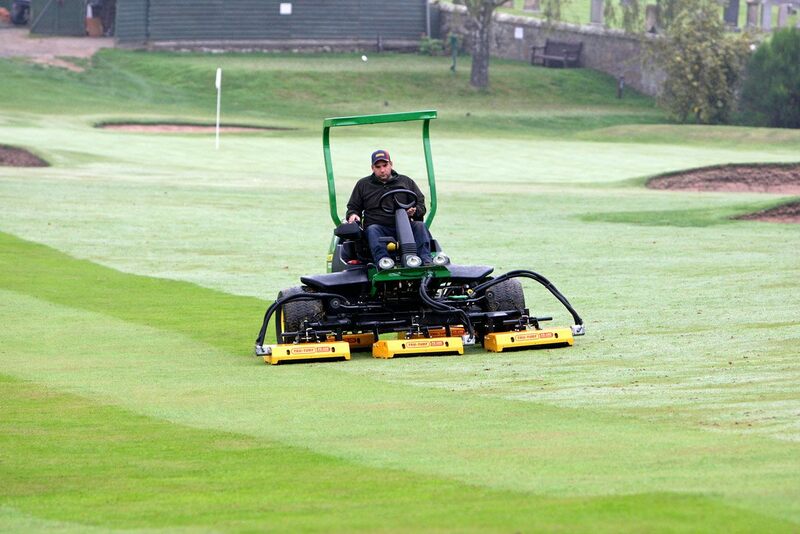 Keeping your fairway surfaces in top condition and alleviate dew and excess water while rolling at full transport speed. To see it in action press the play button. Turns your fairway mower into a dedicated rolling machine that your operators are already familiar with for a fraction of the price of a dedicated fairways roller. Tru-Turf ’s patented offset smoothing rollers true your fairways, deliver a superior surface and reduce imperfections while maintaining the fairway’s unique topography. 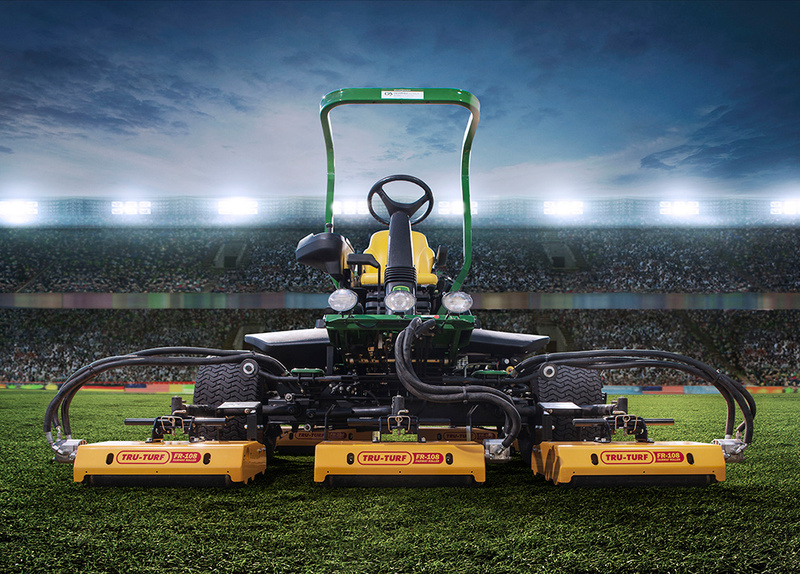 Conveniently raise and lower the rolling heads while in motion and confidently change direction while the heads are still in the rolling position without the risk of scuffing the surface of the turf. 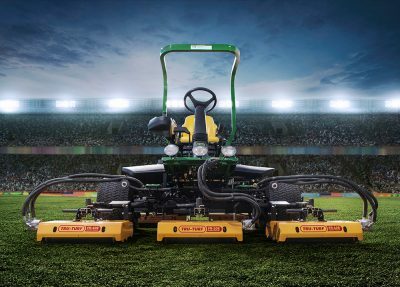 Tru-Turf fairway rollers are easily fitted to a range of popular fairway mower models. Weight - Operating 200lb. (91.7kg) ea.